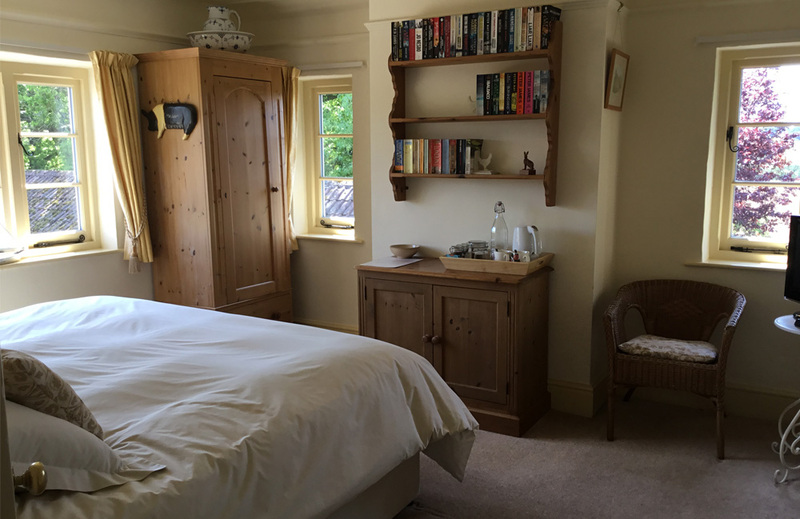 This bright, first floor bedroom has views to the south towards Bulbarrow Hill (the second highest point in Dorset) and west over farmland. 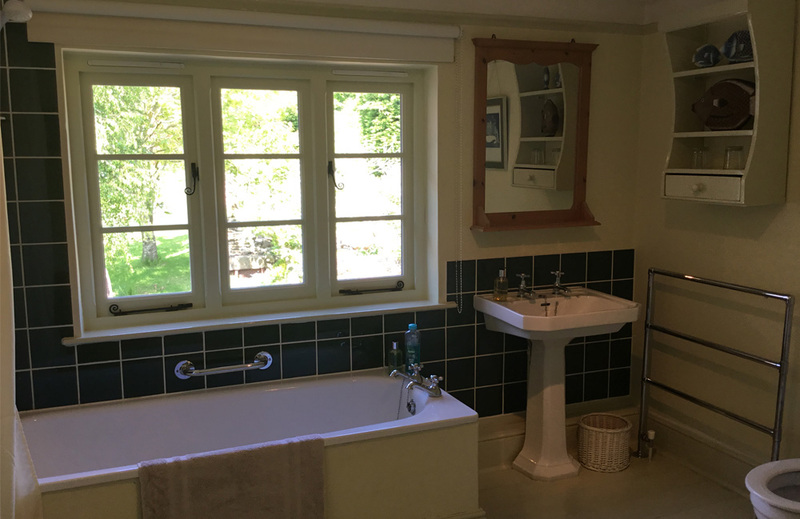 The private bathroom is immediately opposite the bedroom and is for its exclusive use. It is very spacious with both bath and integral power shower. Towels and toiletries are provided.